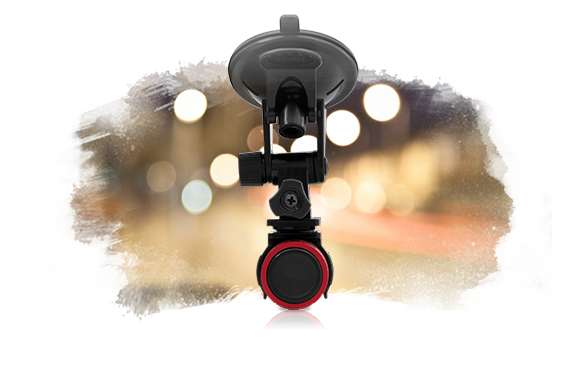 With the new Prestigio RoadRunner 140 you will always be sure that all the important events on the road are captured. 110 degrees viewing angles, 4 layer glass lens and 4x digital zoom ensures clear and detailed video in Full HD, whilst the 12 MP camera takes vivid and light pictures. 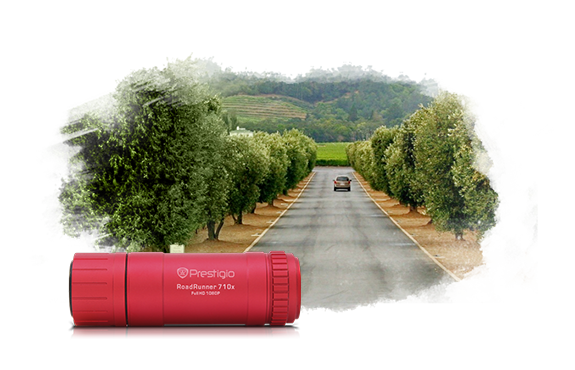 It is extremely compact and the lightest roadrunner in the Prestigio collection, so it is almost invisible in the car and easy to transport even in a small pocket. As always, Prestigio gives the greatest opportunities for money conscious people. All the latest technologies, high quality and modern design are delivered for an extremely affordable price. The Roadrunner 140 is not overtly visible in the car, thanks to its compact size. Capture the slightest movements, tricks and all your adventures with maximum resolution of full HD video with this new action camera from Prestigio. Capture the slightest movements, tricks and all your adventures with maximum resolution of full HD video with this new action camera – the Prestigio MultiRunner 710x. Connect your MultiRunner 710x via HMDI cable to your TV or home theatre and enjoy a perfectly clear and vivid video! We have developed the MultiRunner 710x so that it is simple to operate - even if you're wearing gloves. Just one tap to start recording and one-click to stop. Believe us - it's very simple. The Prestigio MultiRunner 710x is the most comfortable and ergonomic camera for active shooting. Waterproof and shock resistant it will be your best companion in any adventure. The MultiRunner 710x records video in Full HD quality with a resolution of 1920x1080p at 30 frames per second, or 60 frames per second at 720p. It is also equipped with Electronic Image Stabilisation. The most versatile Full HD camera for sports, this wearable Full HD video and still photo camera rocks your world by recording spectacular stunts — hands-free! The camera is lightweight and portable and it can virtually be mounted anywhere. Capture the photos and make video where you want, even under the water. The Prestigio MultiRunner 710x is waterproof and can withstand water pressure up to 10 m. With all the additional accessories you can make video and take photos anywhere. 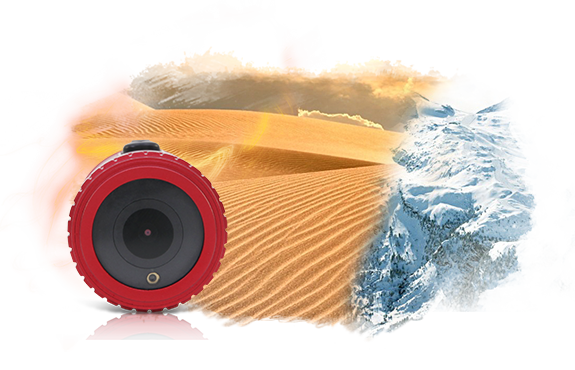 With this camera you will be equipped for any adventure – whether you are out in the country, in the rhythm of the city streets or in a desert you will not miss any moments. Thanks to the powerful wide-angle lens with an angle of 120 degree and the ability to work in a broad temperature spectrum from 0 up to 50C, nothing will be hidden from you and you will always be sure of a great result! The MultiRunner 710x is equipped with HDMI-output for connection to a digital monitor, TV or home theatre system. 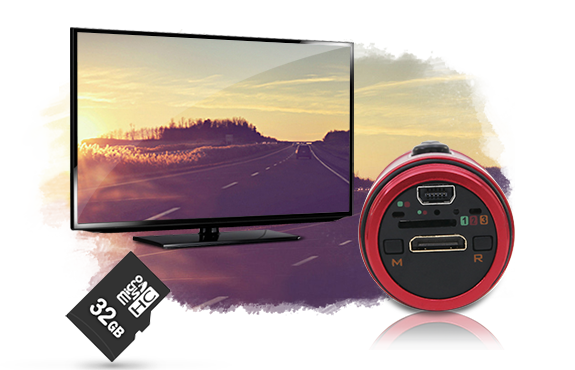 It also has a USB 2.0 output for connecting to a PC or laptop which enables you to easily transfer video files to any PC. The device supports recording onto an SD card up to 32GB. Because the mounting options are so vast, the MultiRunner 710x is the way to go for any situation where you need to take spectacular, hands-free video or still photos. Ypu can mount to your chest, a bike or ski helmet, your wrist, a car hood, a surfboard — the options are endless with a variety of accessories and mounting solutions including: rotatable body bracket, car bracket, car sticker bracket, helmet bracket, sliding part, vertical and horizontal connector, head string, bicycle bracket and anti-slide car pad.